Nice builds! Shame you don't have another who can fly or a Scout formation could be in the offing! True, that is a shame. I hope my son or daughter will be able fly with me in the future. Put in in your battery box for use any time you wire something up, or adjust it. I just found out about this! Why wasn’t I told about it earlier?! Got to make myself one during tonight’s shift at work. Good luck with building it!! Just a suggestion based upon several bad experiences! When you fit an undercarriage on a mini try to make it WIDE TRACK. Small planes are very susceptible to the effects of wind gusts and with a narrow landing gear it can be extremely difficult to land it properly, (without a cartwheel or severe ground loop). As a guide I use the width of the fuselage as a reference and try to make the landing gear distance between the wheels around 3 to 5 times the width of the fuselage. That has about the minimum undercarriage width I would want to fly, it takes off and lands well, even in my noob fingers. The TT was also landing very well on its Bush wheels, even though the gauge was a little narrow it lands great in fairly rough grass. Wow that’s an amazing build. How was your first ground take off for the first time ever? @buzzbomb look what you made me do... You made me dare and build a Mini Scout. I decided to take your dare to my extreme and added the wheels to the build to try ground take offs. Something that I was afraid of after having an unsuccessful experience with this on the Simple Cub. I managed to do only one successful ground take off before I lost orientation of the plane and it crashed. I never had the chance to give it another try because the weather didn’t make that possible. I enjoyed the ground take off so much that I wanted to give another try but wanted a bigger plane that will be easier to track its orientation in the sky. 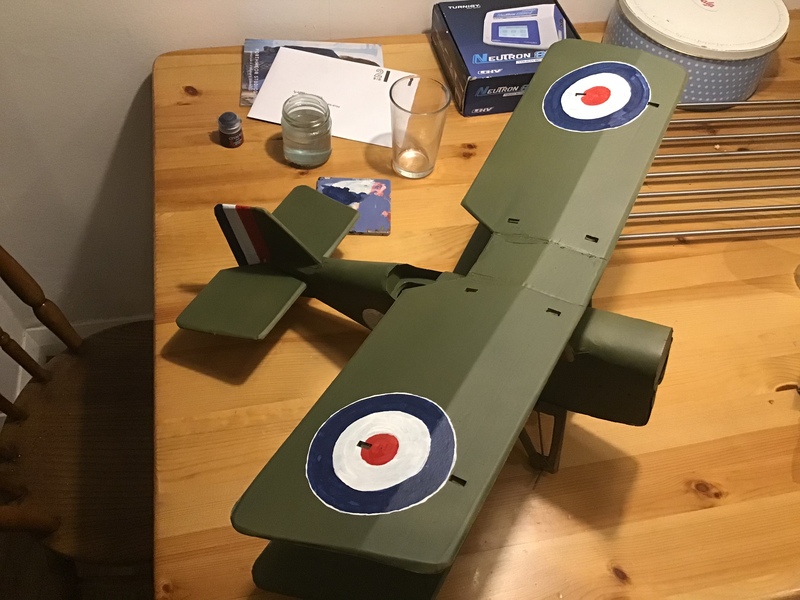 Since my first ever successful ground take off was with Mini Scout I decided that this model will be a practicing model for this matter, exactly how the TT was for learning to fly. So let me present to you the Scout father and son, the FT Simple and FT Mini SCOUT! Father and son! I love it! Great looking builds, mayan! I was at DollarTree picking up some foam today, and I like your builds so much I almost went for the black. I thought about it, and I fly at dusk too often for that to be wise. It sure does look good, though! I'll be putting gear on my DR1. We'll see how that goes. Just beware if you do use the black foamboard, for some reason the paper delaminates and peels way easier than the white foamboard, doesn’t mean you can’t use it, just wanted to make sure you know . The stuff I buy here actually seems tougher, and more durable. I actually find it much harder to get the foam to peel off the paper or vice versa :? Our foam sounds like it’s the same, I asked Adams who make the FT board if they sell internationally and they said no. I also asked what the minimum order they sold, apparently the least I can buy is a whole TRUCK full! I have landed and taken off from the ground with the Sport Cub but that was my first FT plane ground take off. The SE5 doesn’t need much space to take off, it’s got plenty of lift. The Cub is super slow compared to the larger brushless planes, it’s not at all the same. A good trick I have tried is large cardboard boxes laid flat on the rougher ground to make a smooth runway, hitting them is good practice too. I also thought about a long thin mat of some kind, like a vinyl carpet protector or something. My field is pretty bumpy. The DR1 always lands then tips onto its nose, I haven’t managed to keep that upright. One thing you could try for those planes with small wheels is to peg out a large Poly tarp over the grass/ground and use the tarp as a sort of aircraft carrier deck. It works OK for those that land reasonably slowly but you need to watch the overshoots! @FDS ...flite test foam is available from leeds model shop.......just trying some for the first time ...WOW !!! makes a build so much easier than our uk foamboard !!! Mayan, just keep doing what you are doing, brother. You've got the take off on the dirt road you fly from. The landing? Drop it in the grass or bring it home, it doesn't really matter. What matters is you are over-stressing the take off. Don't. What's up with that? It is totally unlike your usual confidence, to stress a three-foot take off. Go fly! When the weather permits. Just do it! I'm taking that to heart. I'm putting landing gear on my DR1. I intended to put it on my Mini Scout, but the little wheels I bought won't cut it. I'm trying to find the large, white, curved hubbed wheels that FT uses in the videos. You know me, it's going to take forever and a day to build the DR1. I've still got to complete the FT MINI SCOUT NEWBIE CHALLENGE! first. T.P. is completely repaired. She is ready to go and waiting on the weather. The DR1? I haven't even started the build-thread yet, but I've got the foam and electronics, and I've printed the plans, and it will have landing gear! You've already got a plane with landing gear? Put the plane on the ground and launch it. Wow I want to respond to all your posts so badly but if I don’t get sleep like now I won’t respond till forever and a day . So off to sleep now and a lot more when I wake up. Ohhh yeah and after my SOS dentist appointment, since last night my tooth is giving me hell so today I hope to pay her back . Good night for now . Sorry to be a little unclear, the Adam’s readi-board black foamboard is what I was talking about, since you’re not in the USA you probably won’t find it sadly . @daxian At £3 per sheet and £7 shipping it’s cheaper to buy the speedbuild kit. A few places do the board, none anywhere near me. Cutting out is boring anyway! I'll post a picture of this on my next build. So that you will see what I mean, I actually like the end result feels like the cavities have a tiny bit of foam left in them something for the hot glue to stick to better. The SE5 doesn’t need much space to take off, it’s got plenty of lift. Which is why I got a long with ground take off with the Mini Scout. You can try using a yoga mat, might work too. Have a picture of what you mean? @buzzbomb thanks for the support, sometimes I need a confidence kick in the a$$. 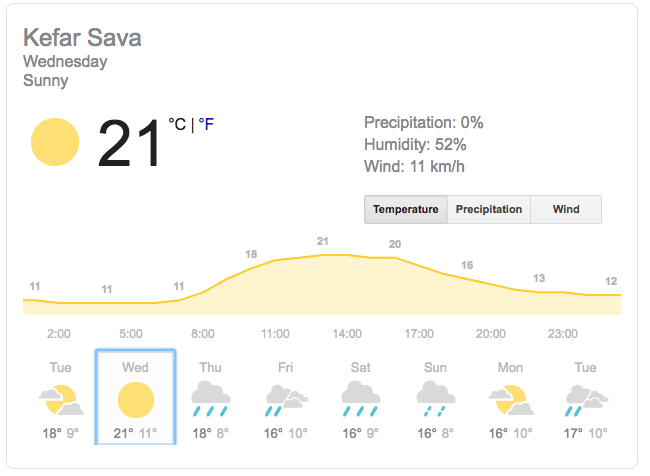 Tomorrow the weather looks like this. So I packed my bag, got my planes ready, and now charging my batteries. I traded my morning shift at work for my wife's afternoon shift just so I can go flying. I'll be taking my TT and Scouts to the field tomorrow. I plan on getting warmed up with the TT, then fly the Mini Scout for the "FT Mini Scout Newbie Challenge", and then practice take offs and landing with the Simple Scout. Any how going to get some more rest for now. No pics to hand but I will put it on my list for next time the ground gets muddy! I got my A1 sheets of 5mm for £2.20 a sheet. Agreed if it’s less than the cost of our equivalent the FT board is excellent. @mayan, hadn’t thought about yoga mats. They often turn up in second hand shops too. Thanks for that!